Most people agree that some of the best gifts are ones that come from the heart—not ones you can buy in stores. If you’re looking for a truly unique gift idea that you can customize to suit your loved one’s interests, then you’ll want to consider making and gifting DIY piñatas this holiday season. These fun piñatas can be made in the shape of a Christmas tree or any other holiday shape you desire! From there, you can fill them with candy, smaller gifts, or even booze (for those of-age)! 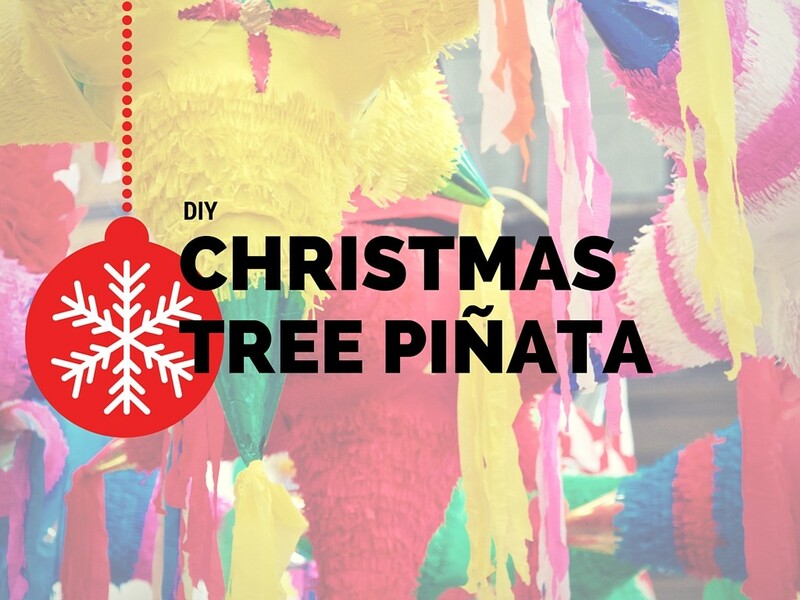 Not sure you can pull of a DIY Christmas tree piñata? No worries. We’ve got three different methods to try, so you can find the one that works for you, regardless of your crafting skills. This option is great because it comes with a free, printable template for you to start with! For this piñata, all you need is some sturdy cardboard, green streamers, tissue paper, mylar, paint, tape, confetti, and your choice of piñata filling! Essentially, this method involves cutting out two identical cardboard trees from the included template. Then, it’s a matter of cutting and taping a cardboard border around one template before attaching the second tree to create a 3-D shape. This is great for making a larger size piñata that could even be used for entertaining at a holiday party. Instructions. If you’ve got multiple piñatas to make, we recommend this mini piñata tutorial, which is a little less time consuming and will allow you to make more piñatas in a shorter period of time. Rather than using intricate tree cutouts, this piñata design uses simple triangular shapes and relies on the streamers and mylar to create the appearance of a Christmas tree. Pretty clever! Plus, you can easily attach loops or hooks to the tops of each piñata so they can double as tree ornaments until it’s time to bust them open on Christmas morning and reveal the treats inside. Oh, and these can be made with simple cardstock; no need to mess with cardboard, which can be difficult to cut. Instructions. We would recommend this DIY piñata design if you’re looking for an easier option that’s suited for younger children who might otherwise get frustrated or bored by the more tedious work involved in the other two tutorials. With this one, you can take any old cardboard container in your home, whether it be from a cereal box or some other packaging, and turn it into a cute piñata in a matter of minutes. Simply cut out identical versions of the shape you want from a colorful cardboard package (this will reduce the need to decorate it further if you’re doing this as a chldren’s craft). Of course, you can always add colorful streamer if desired! Instructions. Once you give these piñata tutorials a try, you’ll see that making your very own piñata from scratch is easier than you may have previously thought. From there, you can gift customized versions of these cute designs to all of your loved ones and family members.